There are 5 Memory Care Facilities in the Clovis area, with 1 in Clovis and 4 nearby. The average cost of memory care in Clovis is $4,495 per month. This is lower than the national median of $4,650. Cheaper nearby regions include Fresno with an average starting cost of $4,303. To help you with your search, browse the 26 reviews below for memory care facilities in Clovis. Better rated regions include Fresno with an average rating of 4.4 out of 5 stars. Caring.com has helped thousands of families find high-quality senior care. To speak with one of our Family Advisors about memory care options and costs in Clovis, call (855) 863-8283. Nearly 110,000 people call the city of Clovis home. About 12.4 percent of them are 65 and over, which is the age group most commonly affected by Alzheimer's disease. In California alone, an estimated 650,000 people 65 or older have Alzheimer's, and that number is expected to grow through 2025. Because affected seniors require more intensive care over time, families may find that a memory care facility is the right fit to provide a safe, secure environment for their loved ones. Memory care facilities in Clovis and throughout California fall under the umbrella term of Residential Care Facilities for the Elderly (RCFEs). The Clovis area offers seniors and their families at least five different memory care facilities from which to choose. Some are stand-alone facilities that focus solely on providing memory care, while others are distinct parts of larger assisted living communities. Families may want to check with prospective memory care facilities to see how much time, if any, their loved ones will spend outdoors. Clovis has a comfortable year-round climate for seniors to enjoy. The city averages 272 days of sunshine each year and has mild winters with no snowfall and average low temperatures of 38 degrees Fahrenheit. In Clovis and throughout California, seniors' Social Security income is not taxed, which may leave more room in the family budget for memory care or other expenses. The Clovis area is home to world-class medical facilities, including those specializing in brain health and dementia care such as the University of California, San Francisco's Fresno Alzheimer & Memory Center, in the event of medical emergencies or illness. Relative to the rest of the country, Clovis's cost of living is 24.6 percent above the national average; however, it is still cheaper for families of memory care residents than the state average. Memory Care costs in Clovis start around $4,495 per month on average, while the nationwide average cost of memory care is $4,778 per month. It’s important to note that memory care rates in Clovis and the surrounding suburbs can vary widely based on factors such as location, the level of care needed, apartment size and the types of amenities offered at each community. 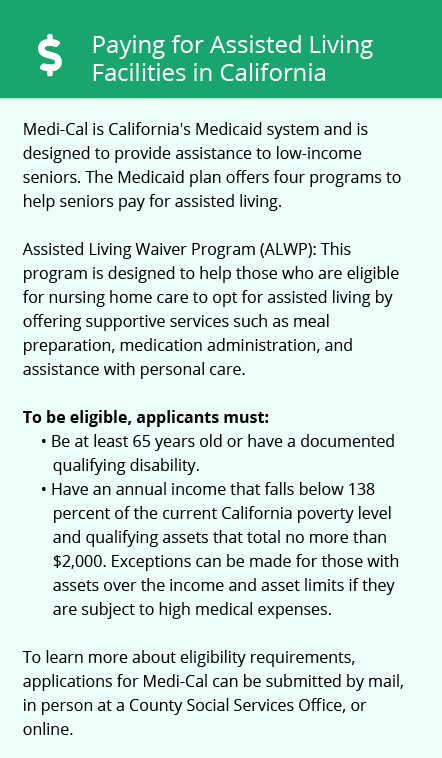 Clovis and the surrounding area are home to numerous government agencies and non-profit organizations offering help for seniors searching for or currently residing in an assisted living community. These organizations can also provide assistance in a number of other eldercare services such as geriatric care management, elder law advice, estate planning, finding home care and health and wellness programs. To see a list of free memory care resources in Clovis, please visit our Assisted Living in California page. 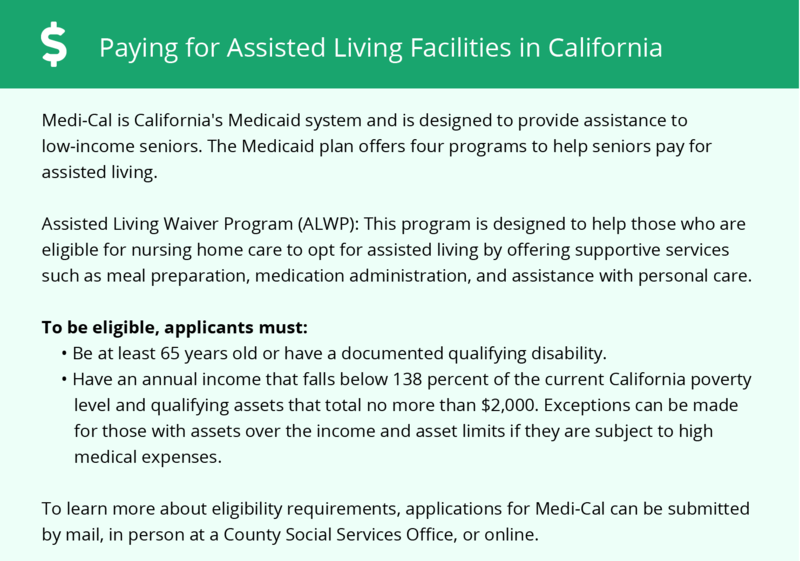 Clovis-area assisted living communities must adhere to the comprehensive set of state laws and regulations that all assisted living communities in California are required to follow. Visit our Memory Care in California page for more information about these laws.